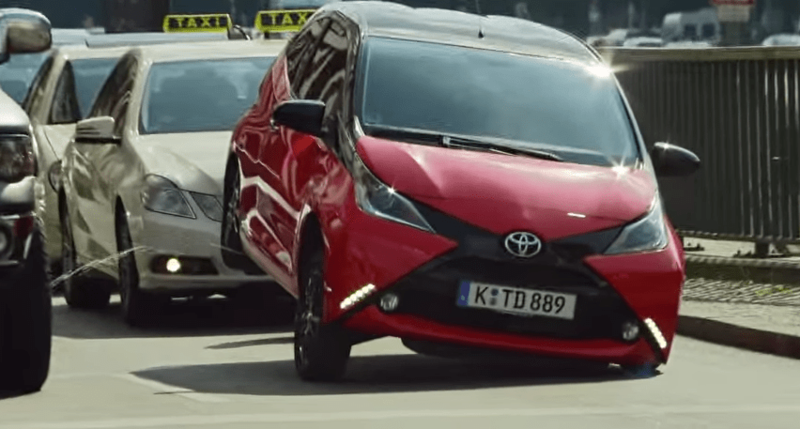 Saatchi & Saatchi, Dusseldorf, created a Toyota Aygo that can lift up it’s rear and take a pee. The stunt used a hydraulic lift and a water pump to simulate the car relieving itself on other cars, a portable loo, and of course a dog. Interesting experiment although I’m not sure what this says about the car (supposedly that it’s fun), would make an interesting optional extra though. © 2019 Chris Rawlinson | Adspiration. All rights reserved.